This shirt is made of 100% cotton. 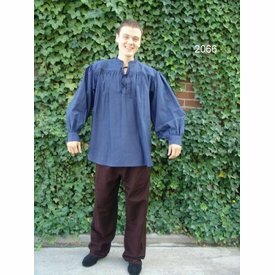 The neckline and sleeves are provided with cords. The shirt is available in the sizes S up to XXXL in the colours black, white, cream, red and blue.